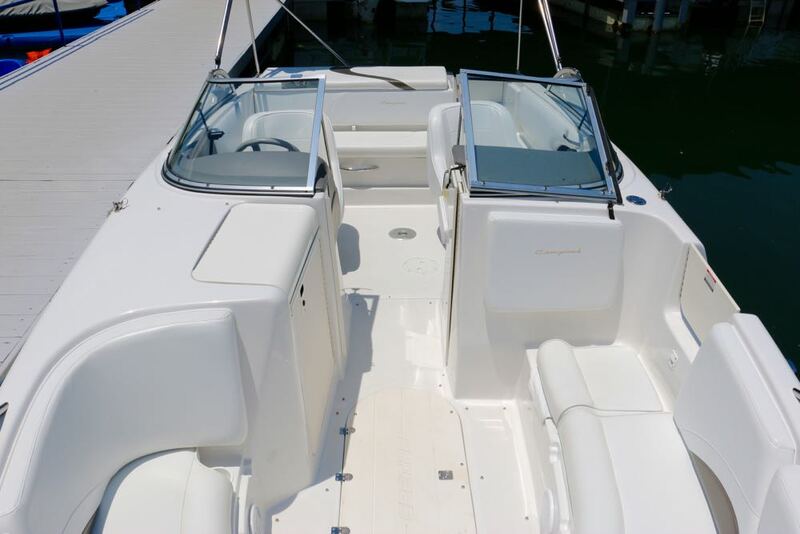 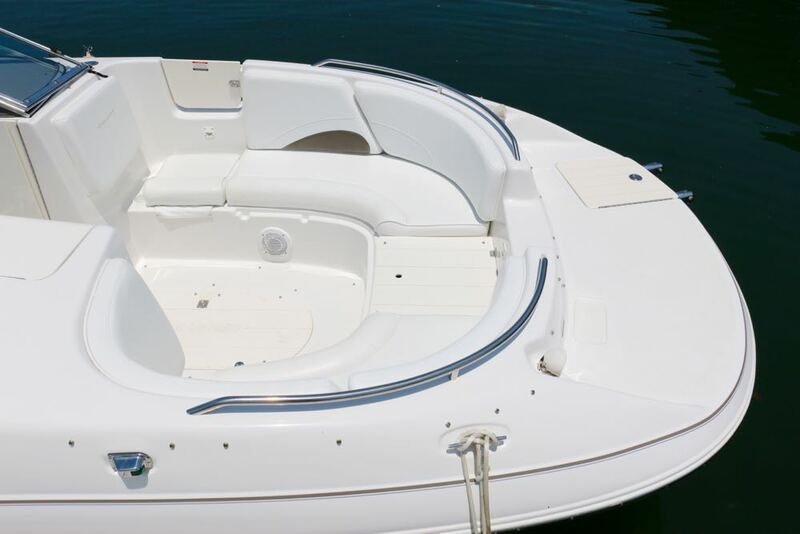 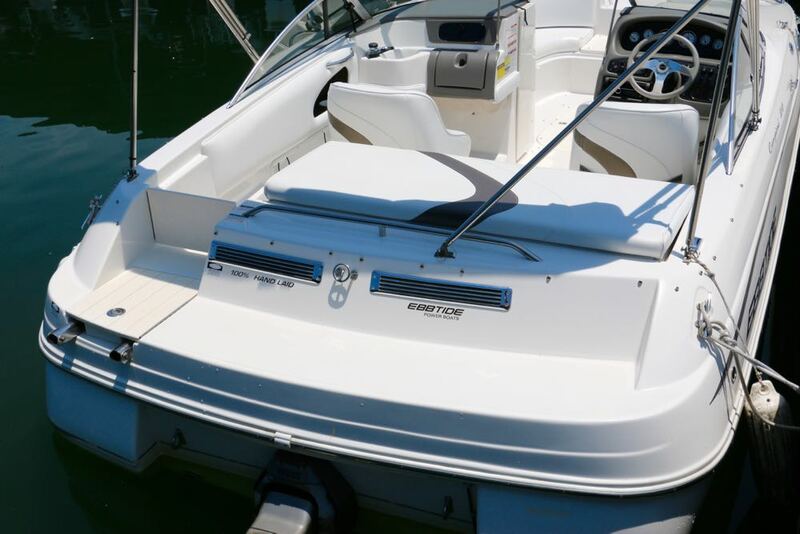 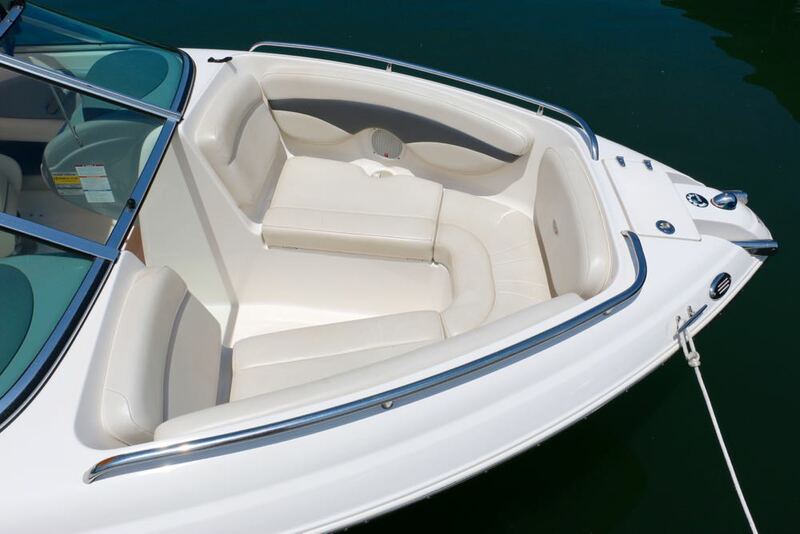 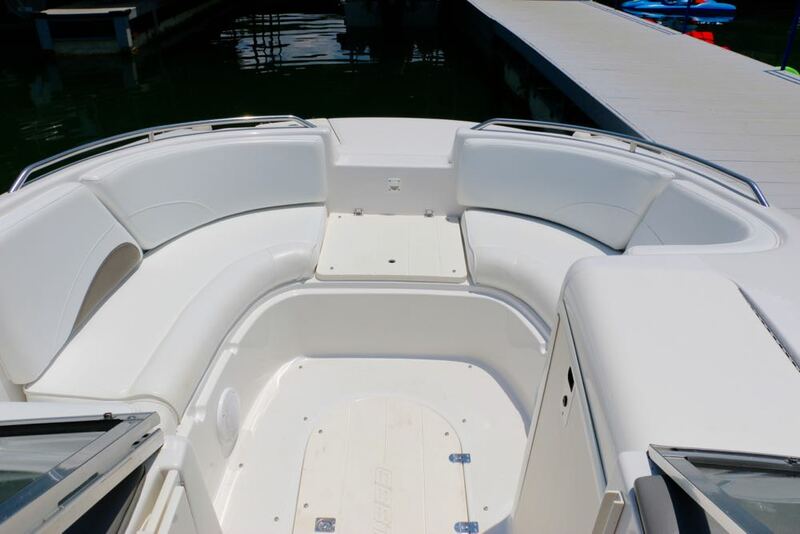 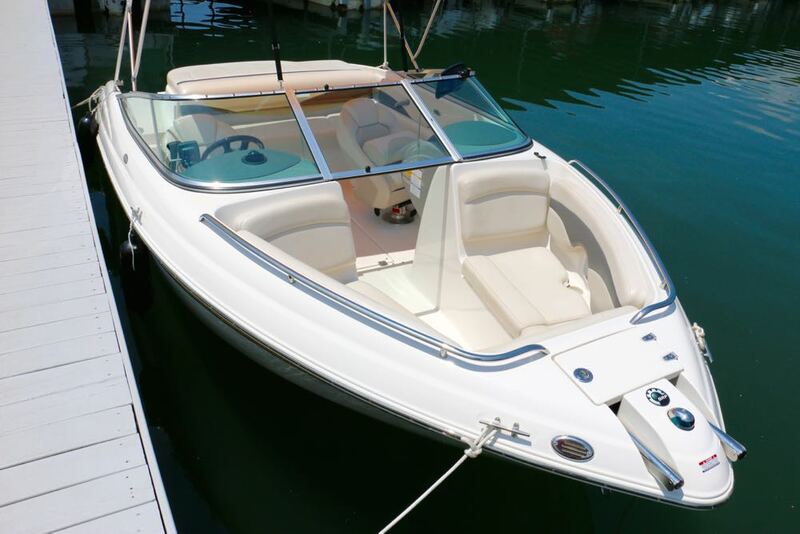 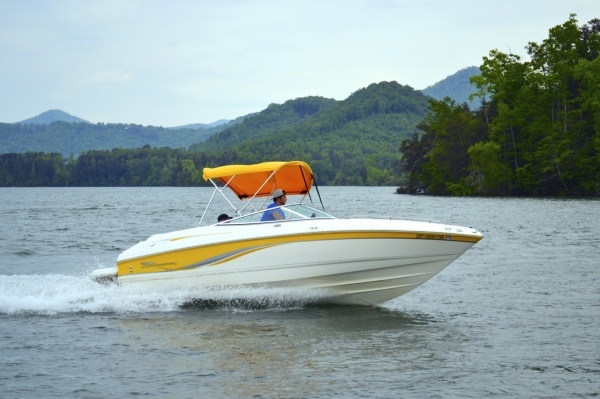 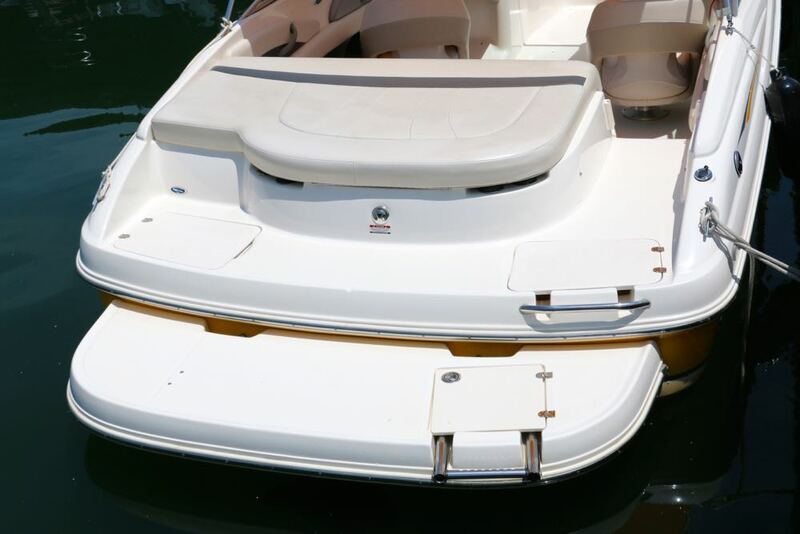 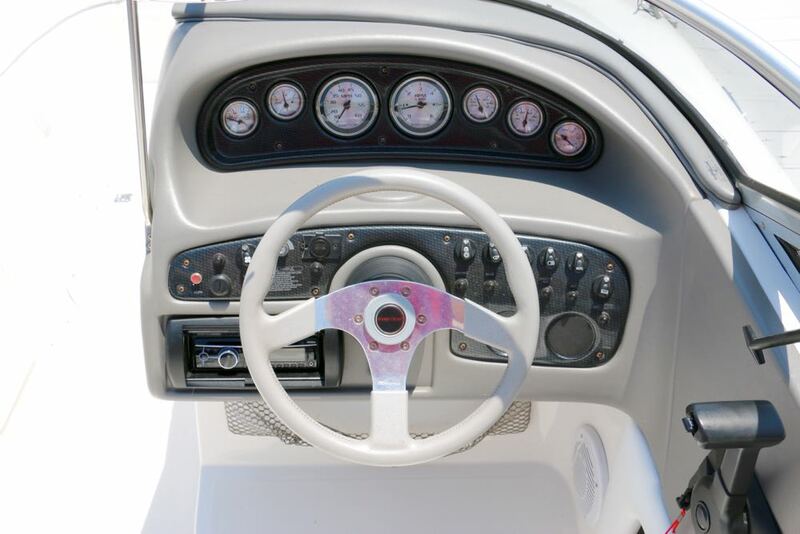 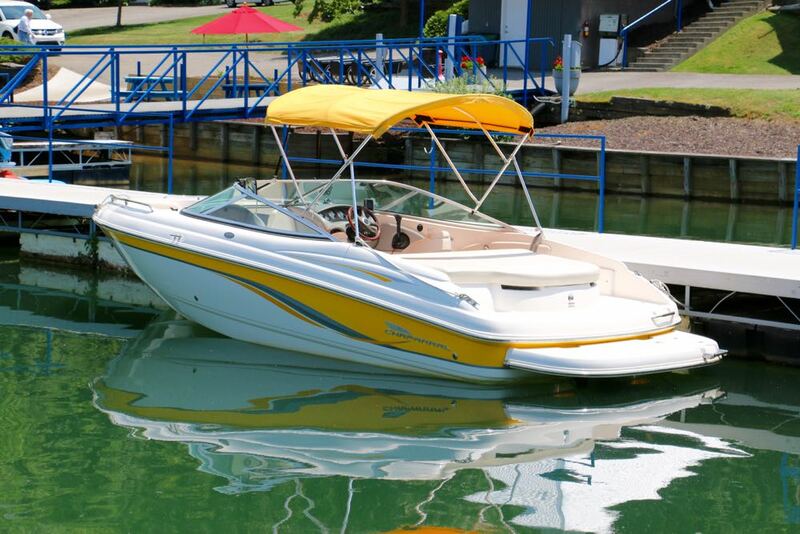 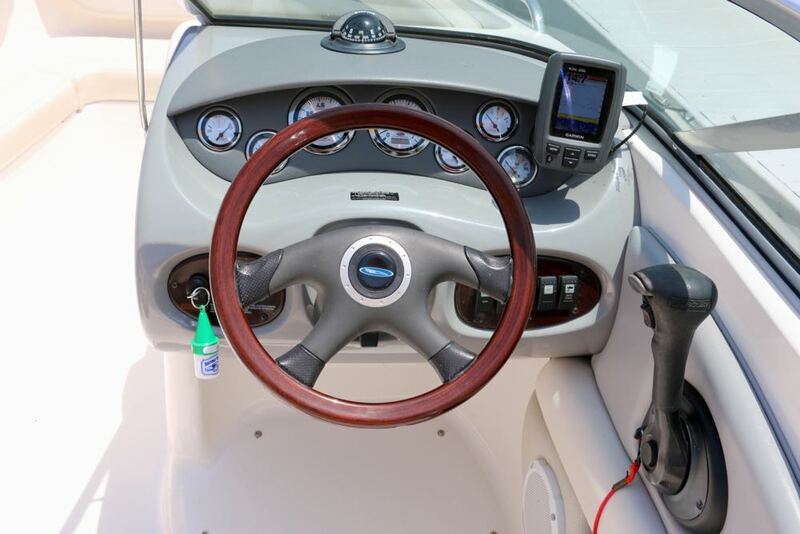 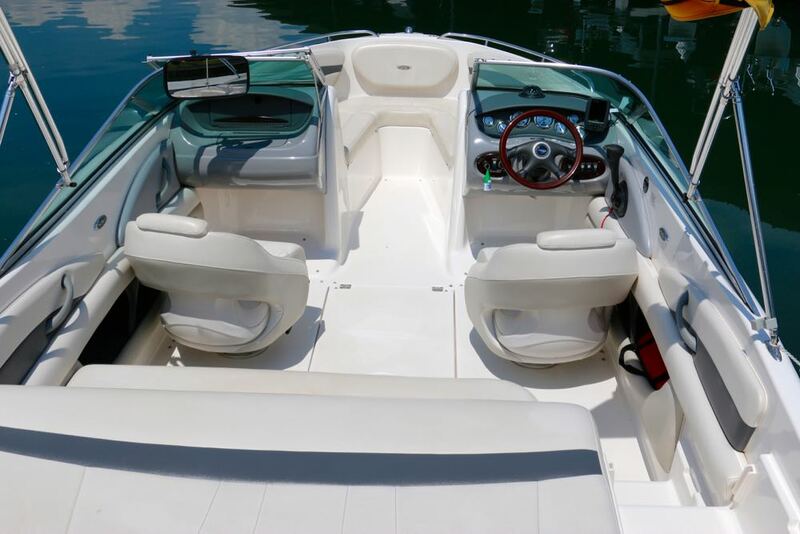 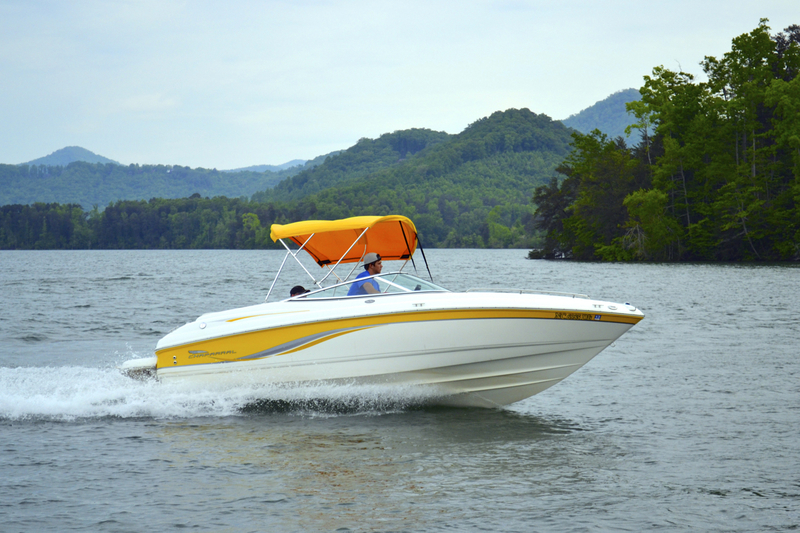 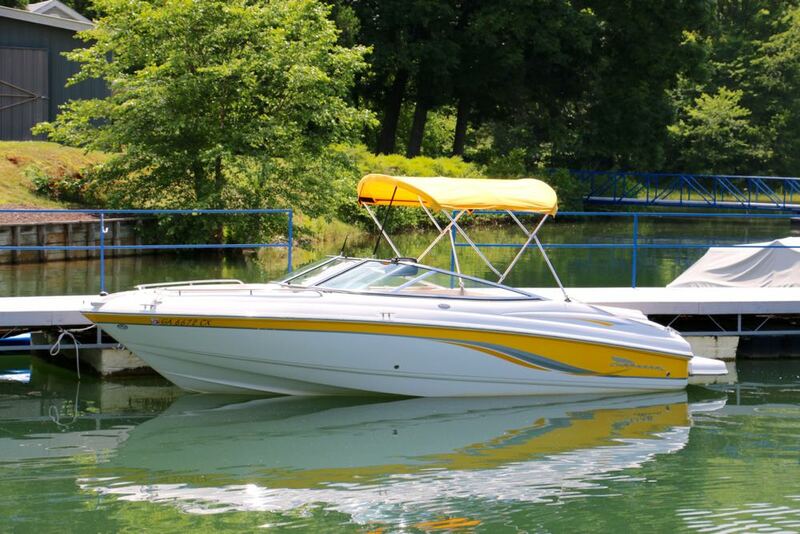 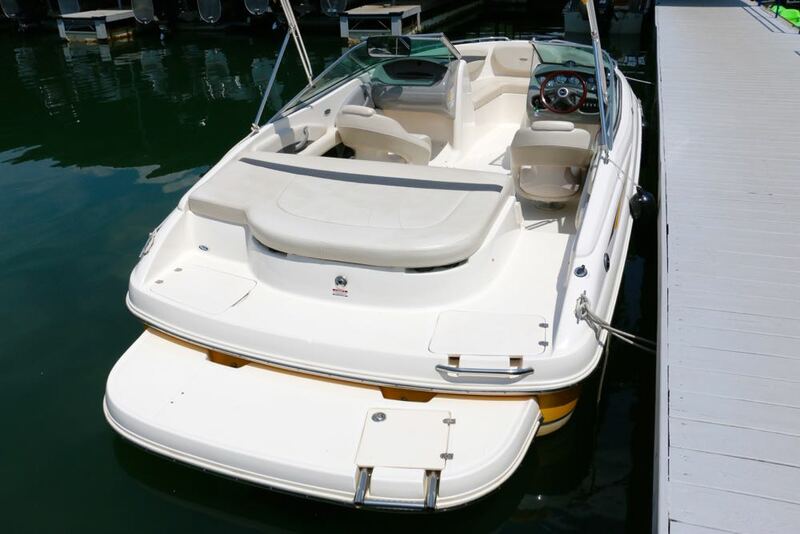 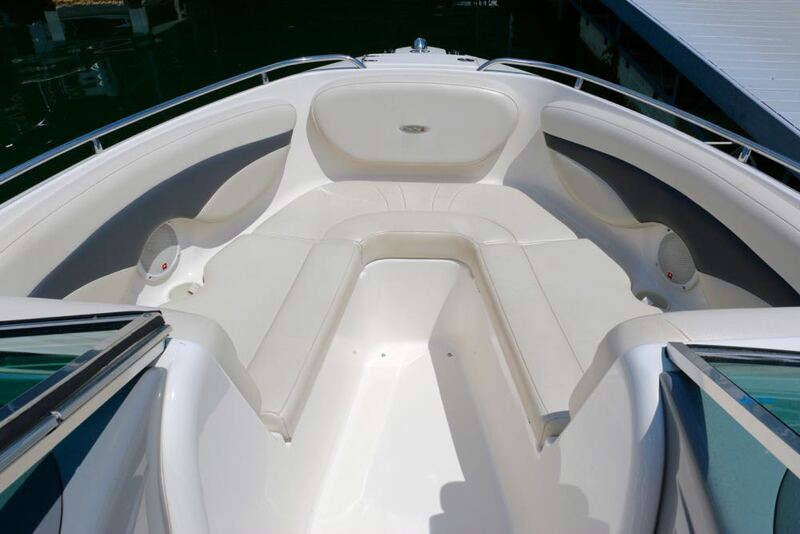 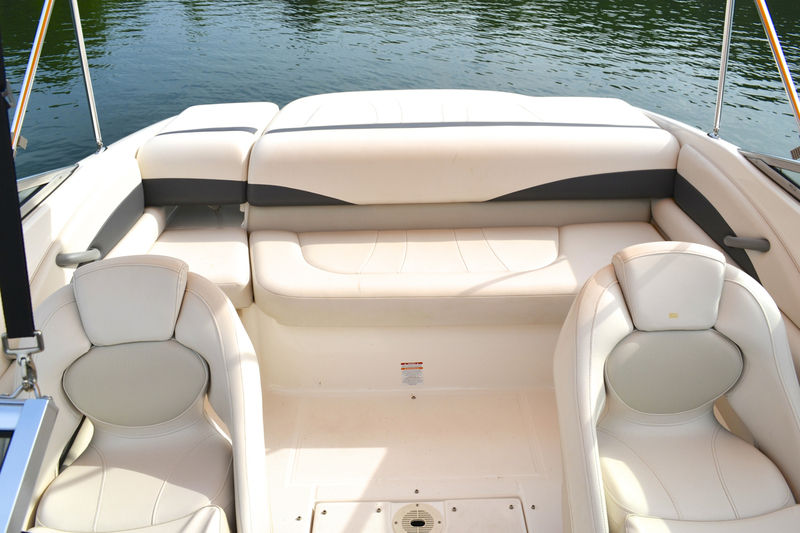 Our 20′ Chaparral Ski Boat is well-equipped for cruising with speed or a full day of watersports. 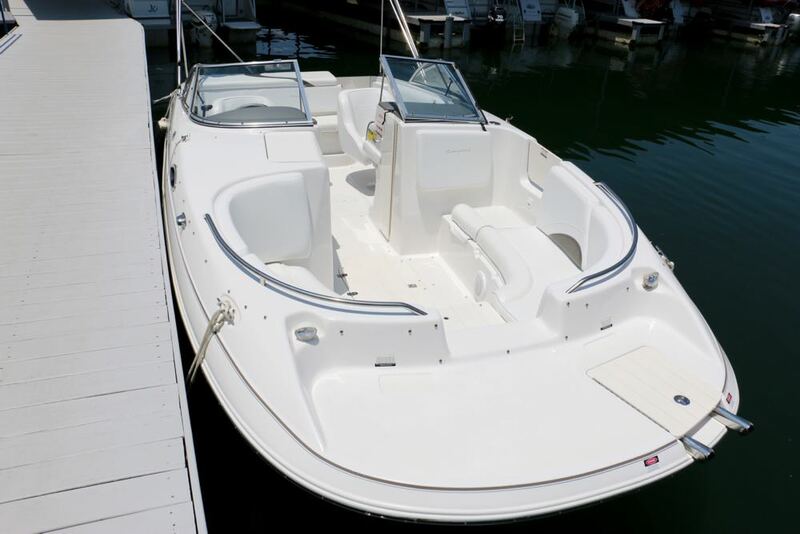 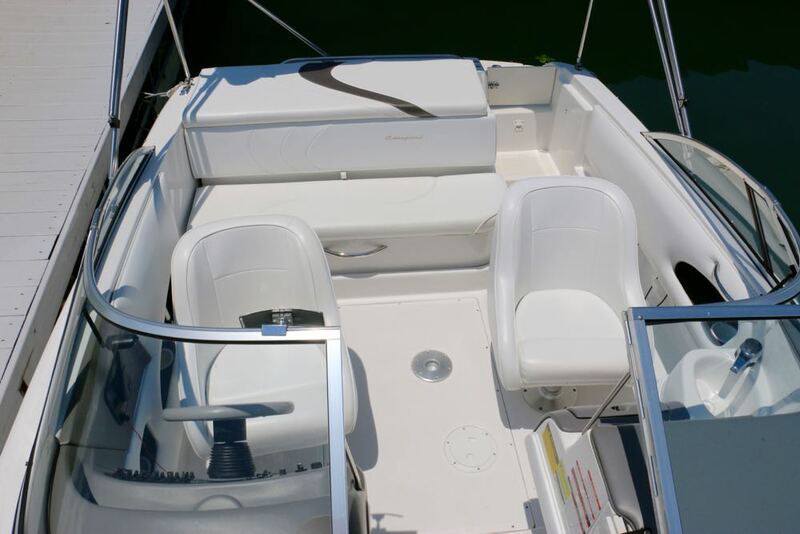 Featuring a 220hp V8 I/O engine, bimini top, stereo with iPod hookup, color fish/depth finder, swim platform, and seating for 8. 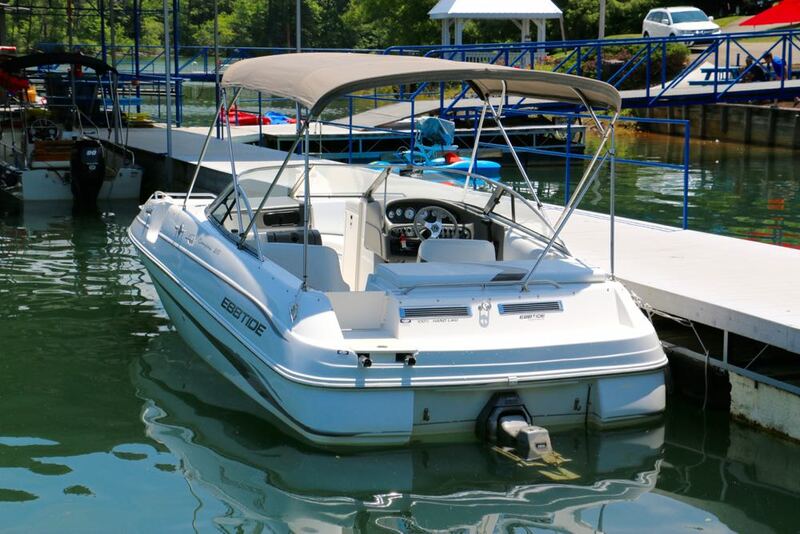 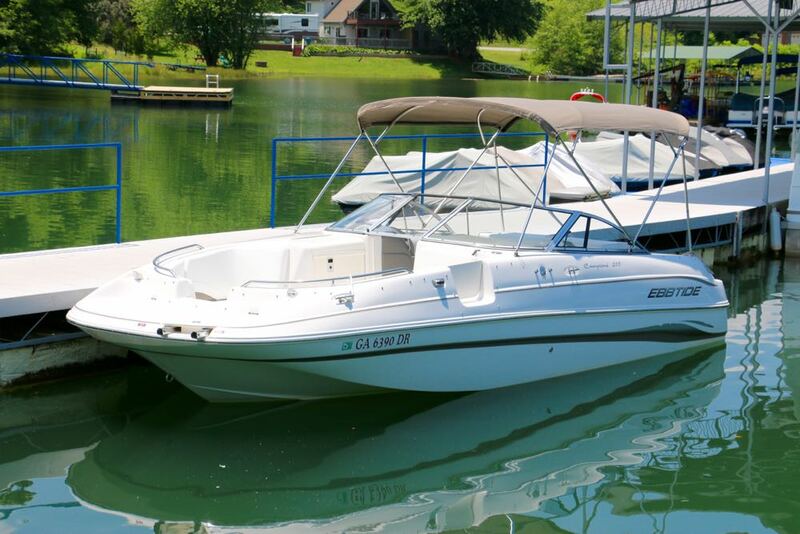 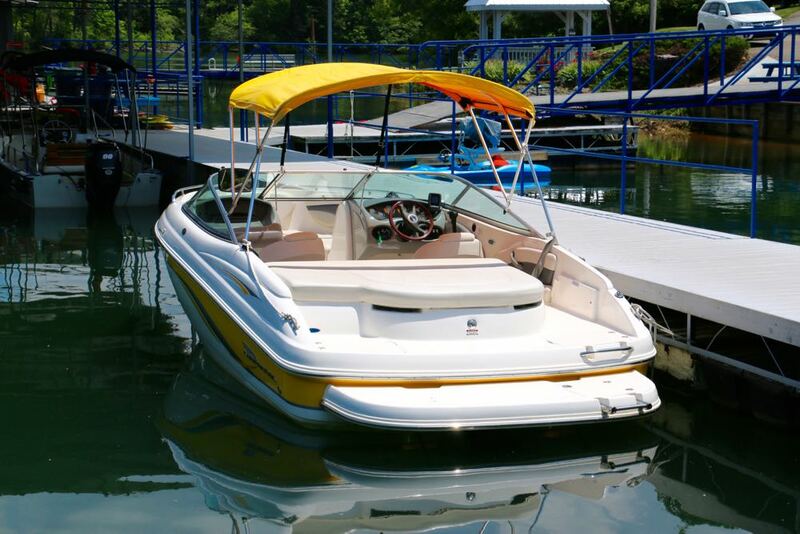 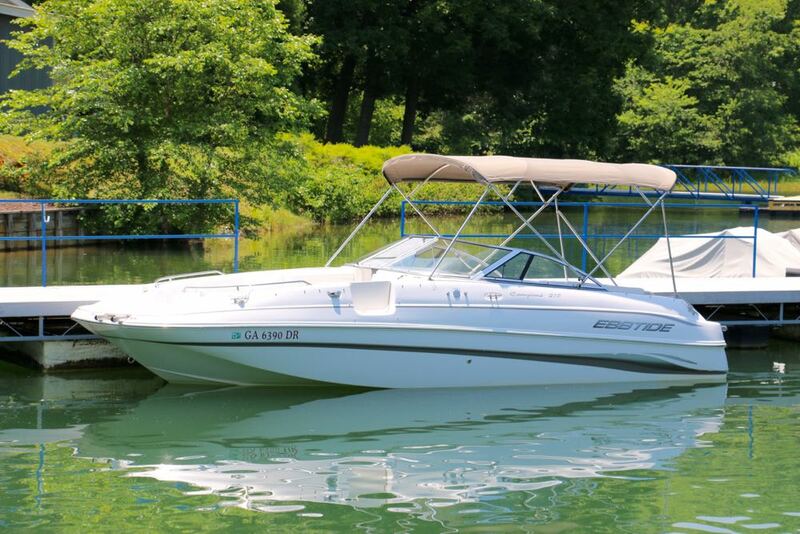 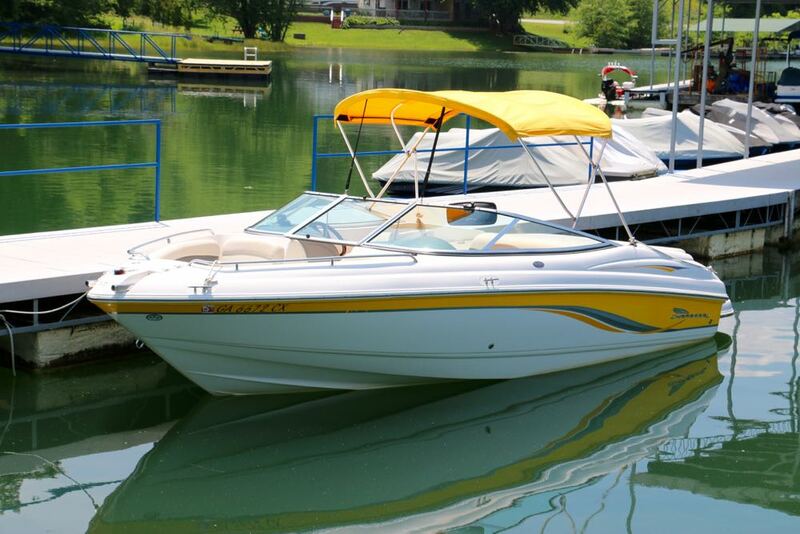 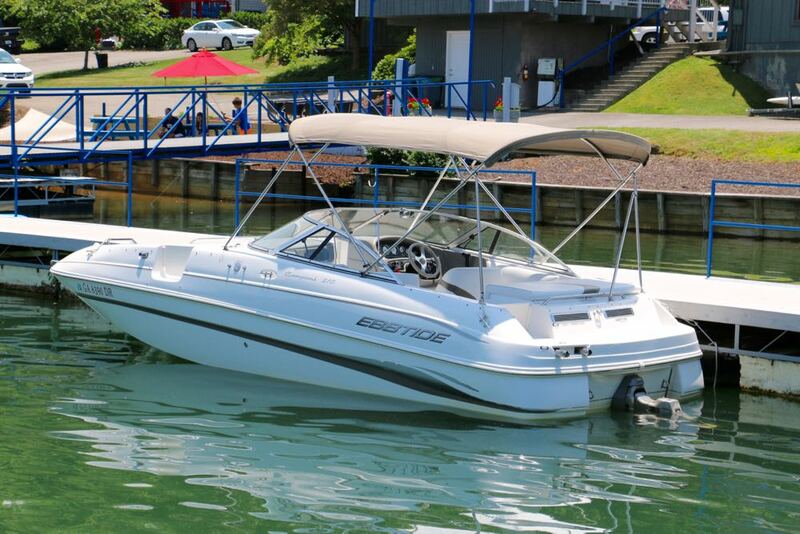 We offer double tubes, skis, kneeboards, and wakeboards for rent with this boat.